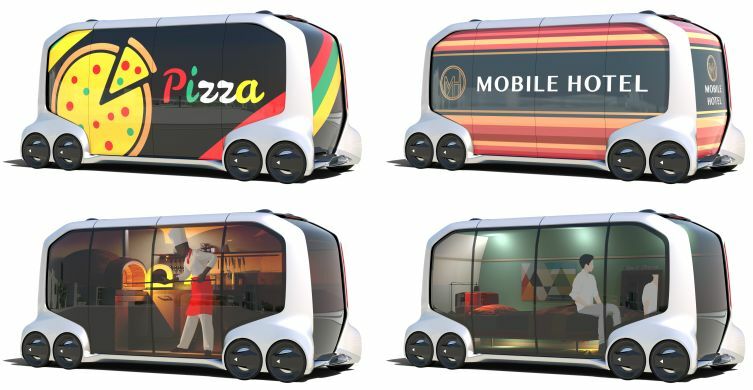 Toyota President Akio Toyoda has announced a new mobility service business alliance at the 2018 Consumer Electronics Show, the global technology showcase in Las Vegas. 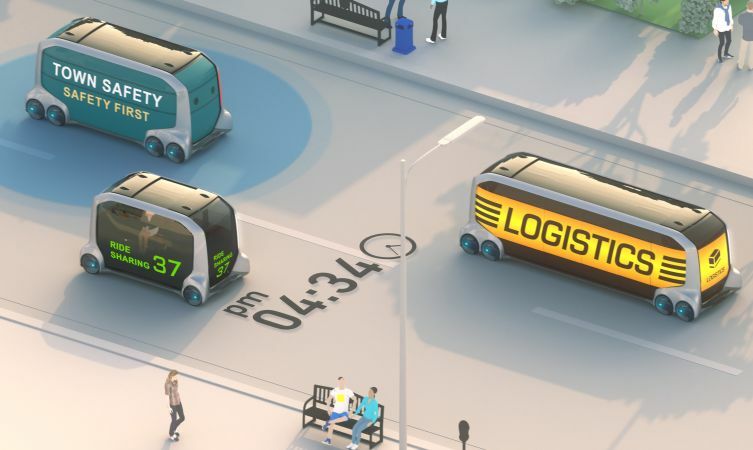 He also revealed details of a new e-Palette Concept vehicle, designed to meet the demands of future multi-mode transport and business applications. He said: “The automobile industry is clearly amid its most dramatic period of change, as technologies such as electrification and connected and automated driving are making significant progress. Toyota remains committed to making ever-better cars. Just as important, we are playing our part to create an ever-better society for the next 100 years and beyond. The new e-Palette Alliance, unveiled at CES, will leverage Toyota’s proprietary Mobility Services Platform (MSPF) to develop a suite of connected mobility solutions and a flexible, purpose-built vehicle. 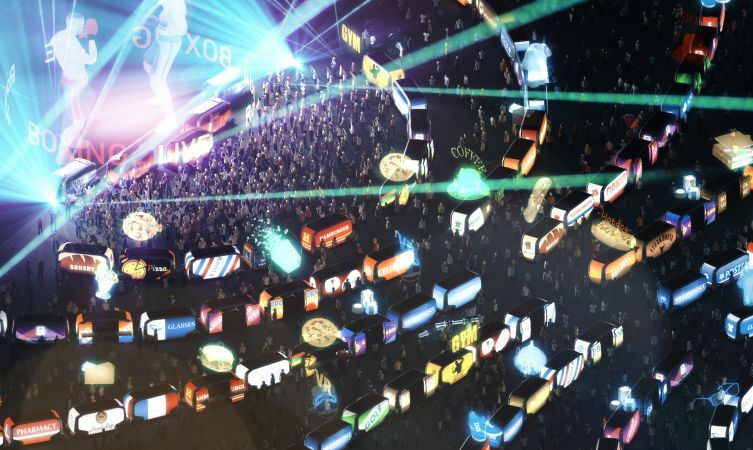 The new alliance will create a broad ecosystem of hardware and software support, designed to help a range of companies utilise advanced mobility technology to better serve their customers. 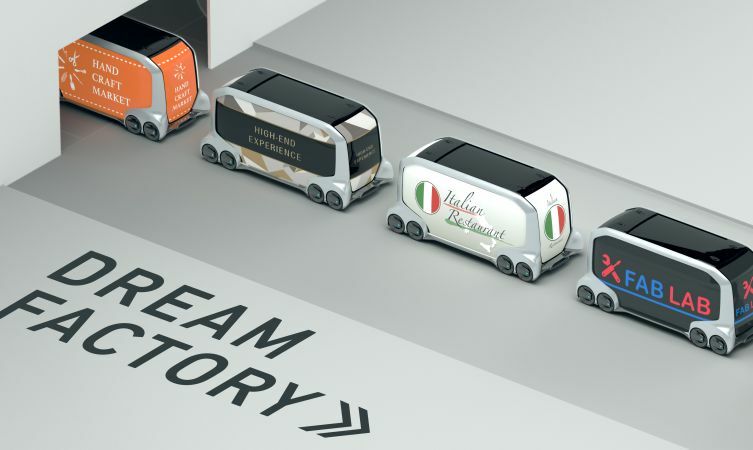 Launch partners include Amazon, DiDi, Mazda, Pizza Hut and Uber. These businesses will collaborate on vehicle planning, application concepts and vehicle verification activities. In the near term, the Alliance will focus on development of the new e-Palette Concept Vehicle. 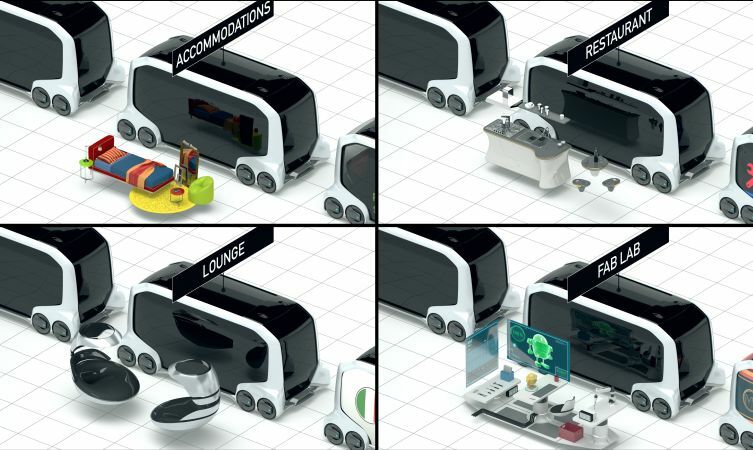 The concept reflects one of Toyota’s visions for Automated Mobility as a Service applications. It is a fully automated, next-generation battery-electric vehicle designed to be scalable and customisable for a range of Mobility as a Service businesses. Furthermore, it also demonstrates Toyota’s continued commitment to partnership and flexibility. In addition to supporting the services provided through Toyota’s MSPF, the concept vehicle’s open vehicle control interface and software tools allow companies to install their own automated driving system and vehicle management technology. Toyota’s Guardian technology will act as a safety net to help ensure appropriate operation. As an emerging provider of mobility hardware and services to business, Toyota is focused on creating new and attractive features for partners that can help them expand their value chain and improve customers’ lives. The e-Palette Alliance will use the power of Toyota’s MSPF to build a new ecosystem for mobility-powered businesses. Announced in 2016, the MSPF is Toyota’s framework for a range of connected vehicle applications, providing a full suite of services needed to support mobility businesses, ranging from vehicle leasing and insurance to fleet management and big data. The e-Palette service provider partners will explore various applications of the concept and MSPF to support their existing business needs. DiDi, Mazda and Uber will also join as technology partners. 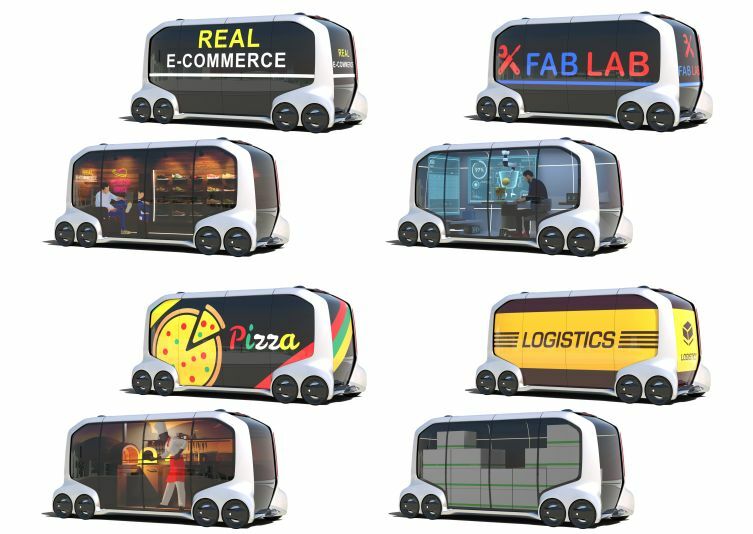 With the e-Palette Concept, Toyota has built a new approach to automated mobility that will empower Alliance partners to support their customers’ lifestyles with increased convenience, productivity and efficiency. The vehicle has an open interior layout, so it can be equipped with purpose-built interiors to suit the user’s needs, whether for parcel delivery, ride sharing or on-the-road e-commerce. Its adaptable framework is also designed to optimise usage, allowing the vehicle to be shared for various business needs, transitioning seamlessly from one application to another. 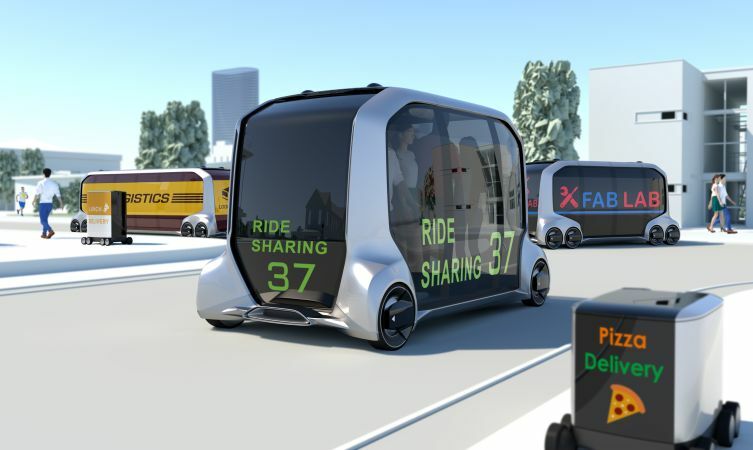 Toyota envisions that the e-Palette Concept will be offered in three sizes, so that it can provide right-size and right-place mobile solutions. 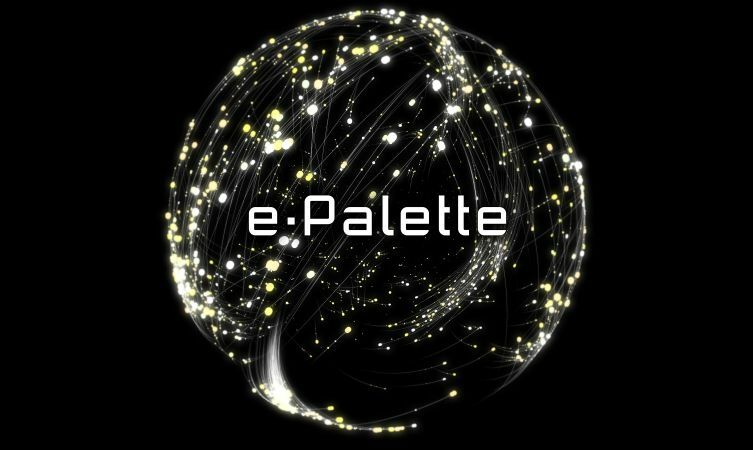 In the future, e-Palette Alliance partners will be able to make use of the e-Palette Concept in co-ordination with the full range of MSPF services, or incorporate it into their own technology development programmes. The vehicle’s design reflects this commitment to flexibility and partnership, with an open control interface and a set of software tools that will allow partner companies to install their own automated driving system if desired. Toyota plans to conduct feasibility testing of the e-Palette Concept in various world regions in the early 2020s. It also hopes to contribute to the success of the Tokyo Olympic and Paralympic Games in 2020 by providing innovative mobility solutions, such as the e-Palette. There are three sizes of e-Palette, with lengths between four and seven metres, depending on specification. Thanks to a flat, barrier-free interior with a low floor, equipment can be installed in accordance with the user’s needs, whether that be for ride sharing, hotel rooms or retail shopping. The vehicle on display at CES measures 4.8m long, 2.0m wide and 2.25m high. Vehicle control technology is being used as an interface for technology providers. These providers can receive an open Application Programming Interface (API) necessary for developing automated driving systems (automated driving control software, cameras, sensors, etc). The e-Palette Concept also leverages the power of the MSPF to enable over-the-air updating of the automated driving systems. Vehicle information is gathered from the e-Palette Concept’s Data Communication Module and accumulated in the Toyota Big Data Center through a global communication platform. The e-Palette will capitalise on this information to support a variety of finance options, as well as high-level maintenance in co-operation with Toyota dealers. The API required by service providers, such as vehicle state and dynamic management, can be viewed on the MSPF. That’s what we’re striving for Ken. Keep an eye on our blog and social media channels for further updates. Thanks. Thanks for getting in touch. Its great to hear your feedback and we wish you both many more happy miles behind the wheel. Thanks. Toyota creating the dream going green, they wont despair give us clean air. With your new models I feel sure you are getting there.Good Luck and congratulations. Thanks for your comments and keep and eye on our blog and social media pages for the latest updates. Thanks. Thanks for getting in touch. Unfortunately, we have no information on this at the moment, but keep an eye on our blog and social media pages for further details. Thanks.